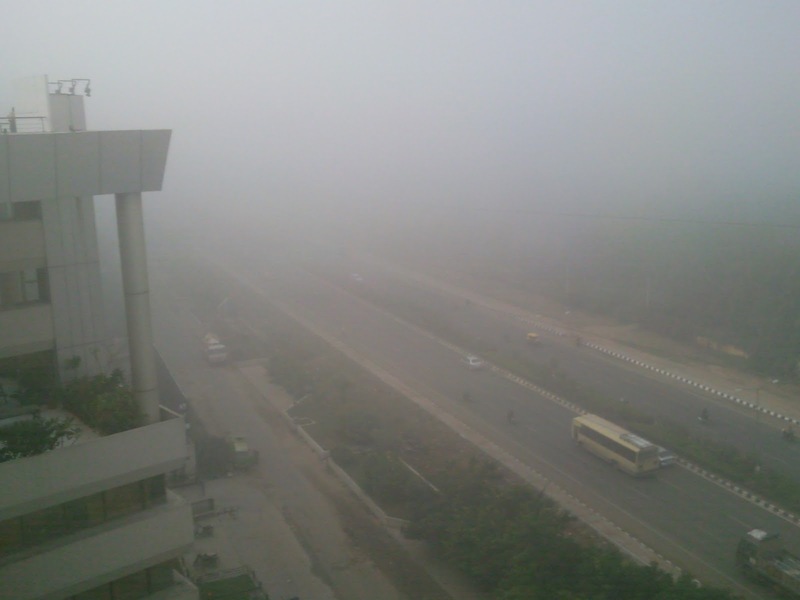 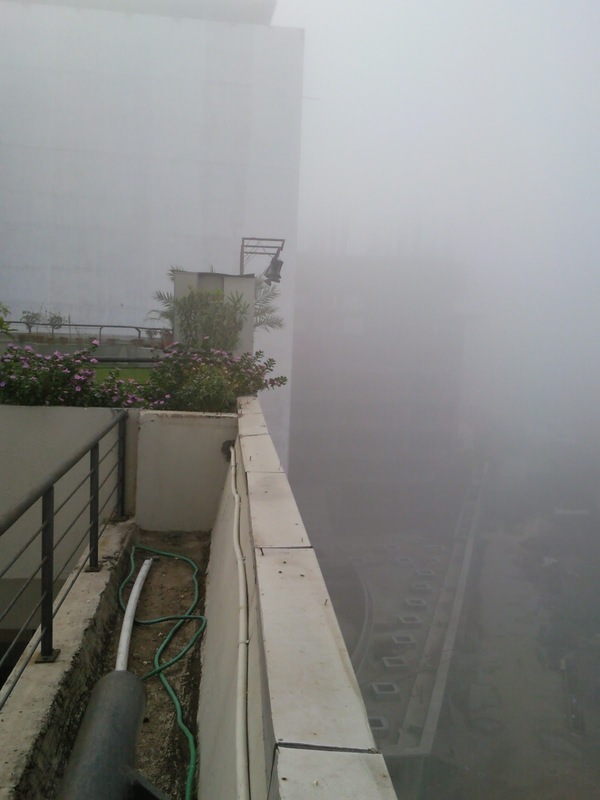 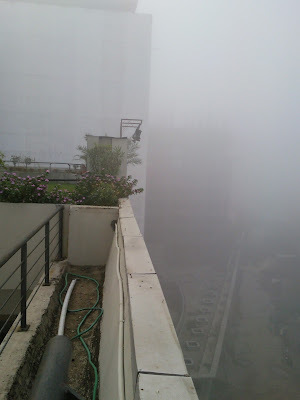 Lost and Found: Foggy Ahmedabad morning! 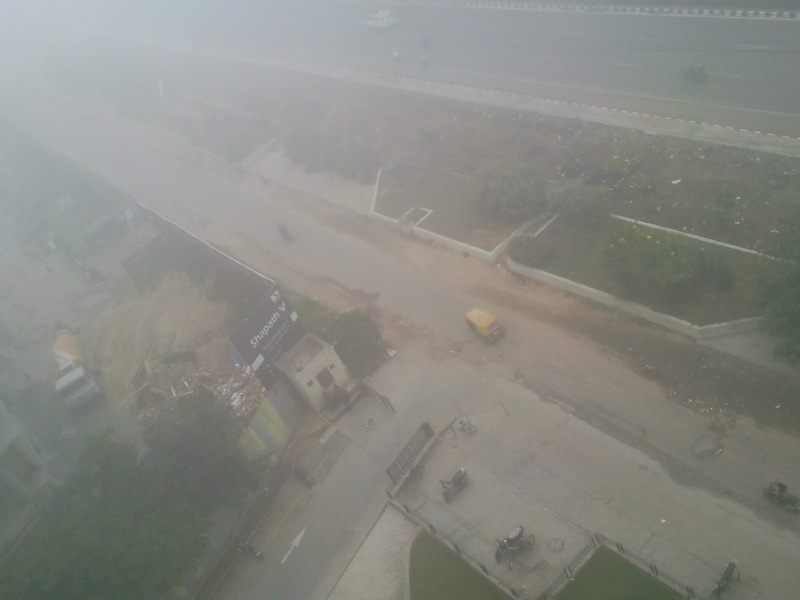 A very foggy day in Ahmedabad, very very unusual for the place as well as for this time of the year. There is rumour that soon there would be snowfall too, for now the rumour remains unconfirmed. 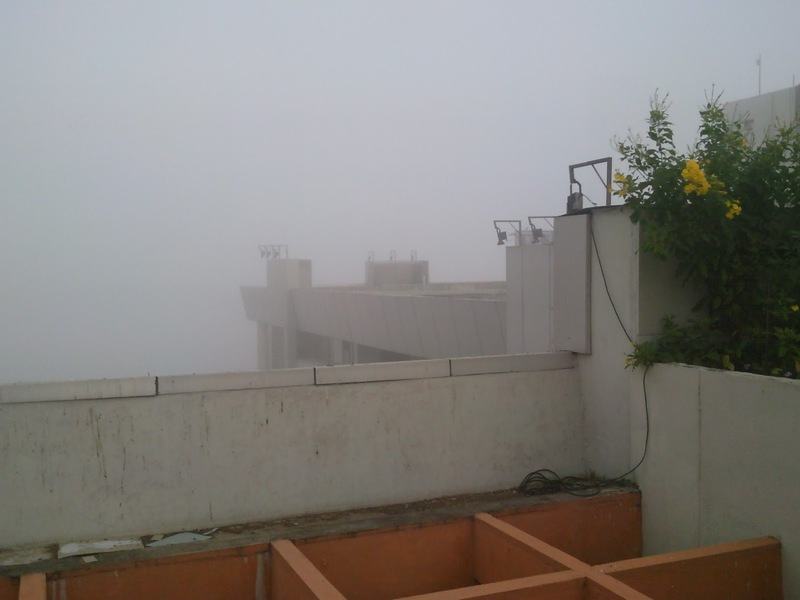 These are images from the terrace of my office where we spent about 20-25 minutes looking at the fog (basically not looking at anything at all) and feeling good about it. 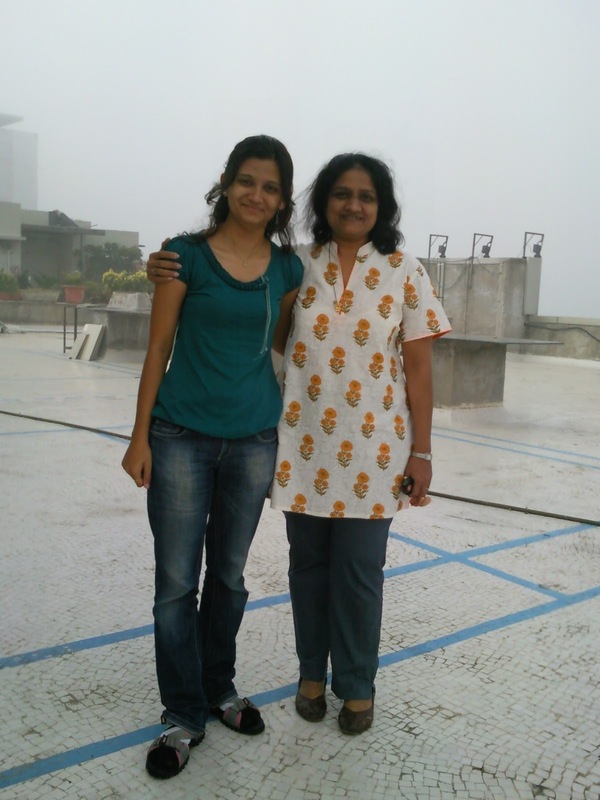 The fact that it was from our working hours was, of course, conveniently forgotten. 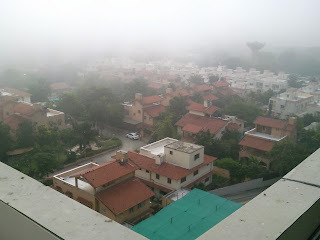 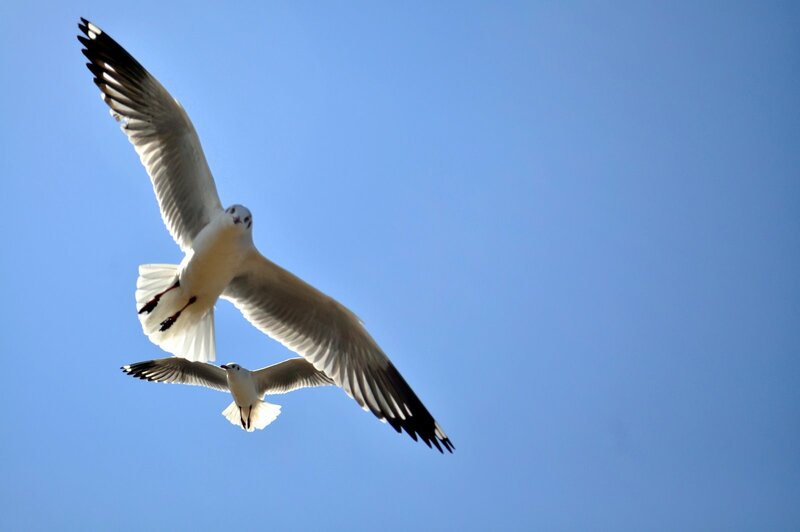 The images are from my mobile phone (Samsung Jet) and the quality is pathetic (rather than dramatic).